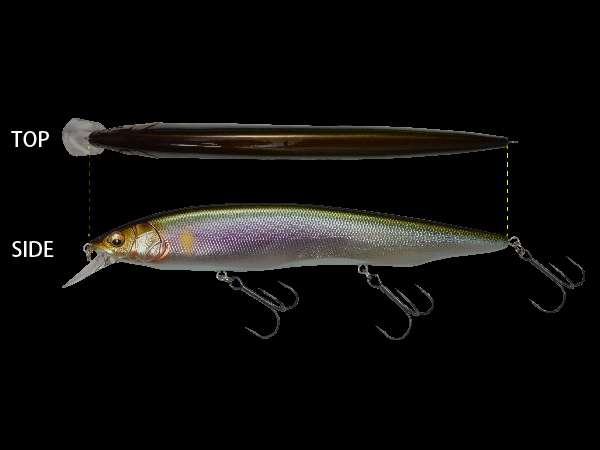 The high impact jerkbait KANATA AYU was designed to target fish that are keyed in on larger bait. With a streamlined, slender body, KANATA keeps resistance to a minimum. This allows for a fast, action-packed retrieve that will not put undue stress on angler’s wrists and forearms, even with a Medium Heavy setup. 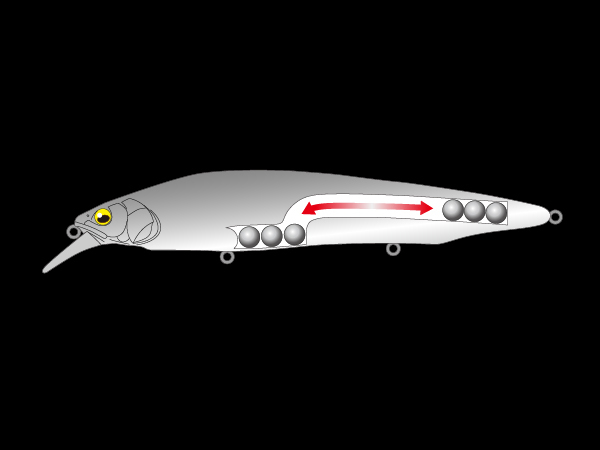 Sharp rod work fuels energetic darting action. Straight retrieve shows off a high-pitch rolling action with flashing visual appeal. Aerodynamic form and custom-fitted Megabass original Tungsten Triple Oscillating moving balancer system powers effortlessly long casts, allowing KANATA to target those clever monster fish from long range. KANATA AYU brings a new size and sensation to the jerkbait game. ※The photograph is a prototype. 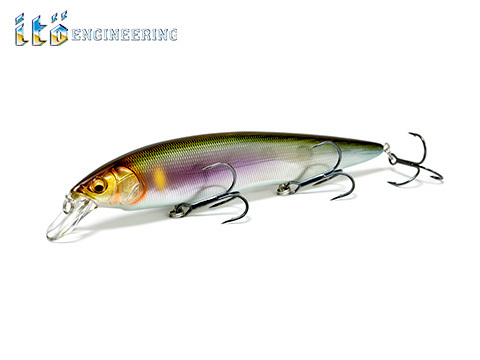 Slim 10mm body for sharp darting action.